This week was bogged down with my horrible cold, but I don’t really get any days off so progress was made in spite of coughing up a lung. Gross! I try to keep the PC and Xbox versions as similar as possible, but there are necessary differences that need to be tested. In this case, something wasn’t getting initialized correctly on the Xbox One build, so I mostly slapped it into shape. There’s still an issue with the async storage trying to do more than one thing at once which I’ll have to fix later. 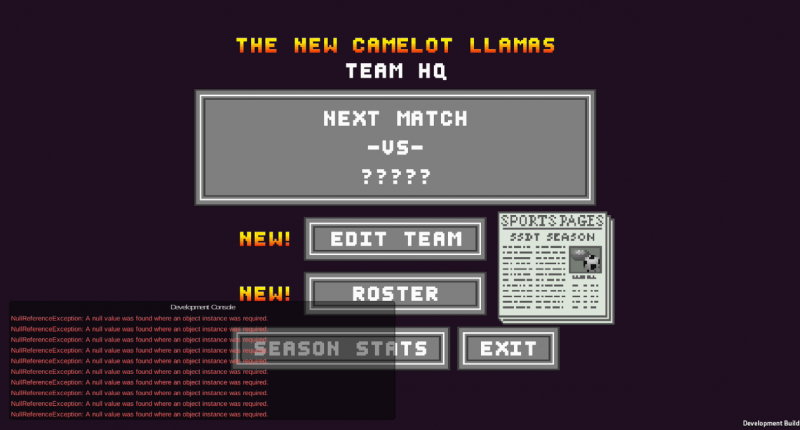 As I mentioned last week, I’d implemented SportsPoints as a way to accrue fans in Season Mode. But all of this was invisible to the player. I thought I’d put a little text floatie next to the player who earned the points. 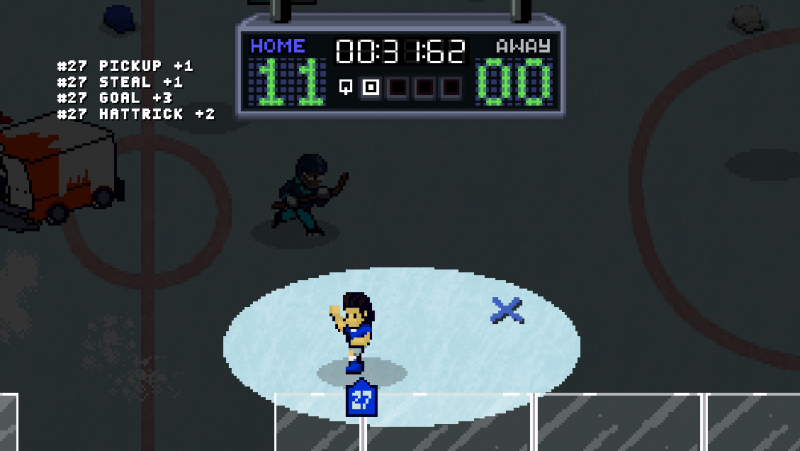 Getting text to actually appear in the gameplay screen was a bit more work than anticipated. Problems with the character recycler combined with the 90 degree change in the camera angle from the normal UI turned out to be the culprit. 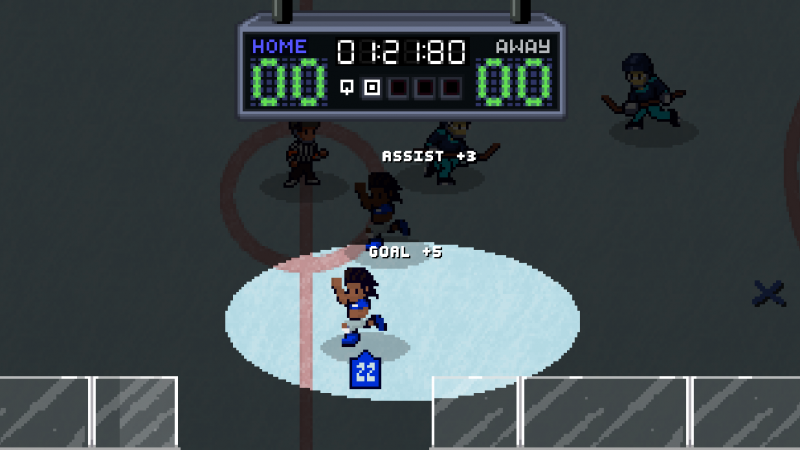 After much longer than I’d planned, I finally got the text next to the players. However, it quickly became obvious this would be very distracting during the game as the notifications can really pile up! Not to mention, some things like winning a match, aren’t tied to one player. I needed a better way. My thought was to put these messages in a stack in the corner of the screen where you could check them out, but they wouldn’t distract from the game too much. This turned out to be a much better solution. Plus I can put the player number next to the description so you know who earned the points, or leave it off if it isn’t player-specific. When you start a new season, you will only have one type of player available to you. It is up to you to unlock the rest throughout the season. Now, I had already built the unlock notification system, but it wasn’t actually tied into anything. 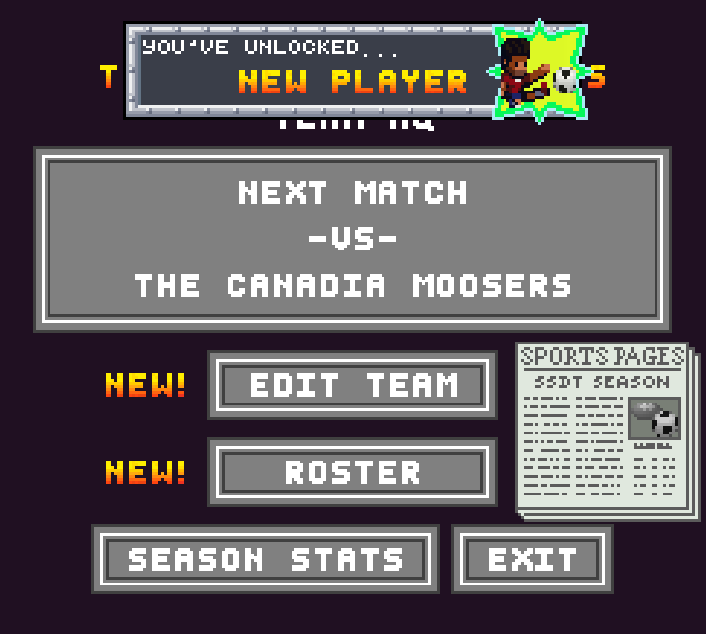 Now that I have Season Mode save data, I can actually have things unlock! Compared to getting the SportsPoints on the screen, this couldn’t have been easier.